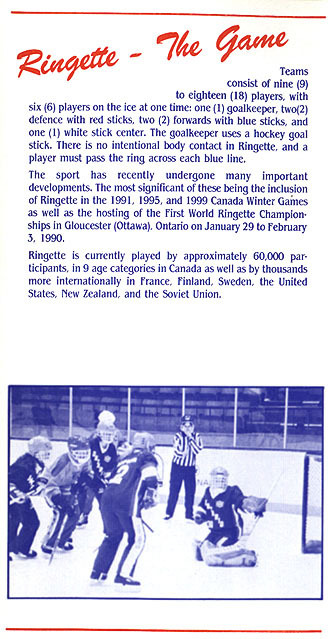 New Ringette Canada Rulebook, including changes to wording for personal fouls, penalties and violations. 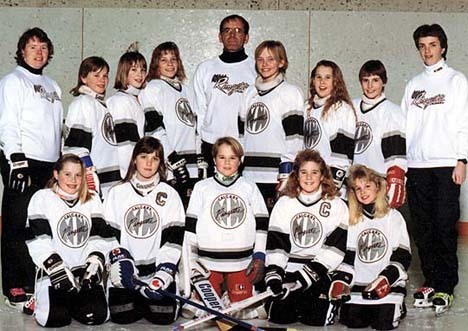 Also, the addition of the option to take a 30 second time out, a penalty shot for deliberate illegal acts preventing a scoring opportunity, and a maximum number of team staff on the bench(4). 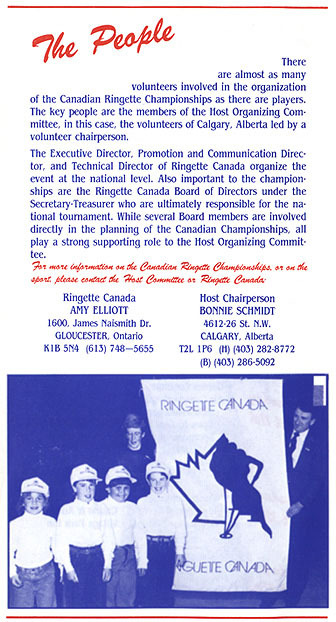 Members of Ringette Canada voted against the proposed rule change which would allow teams to pull their goaltender. 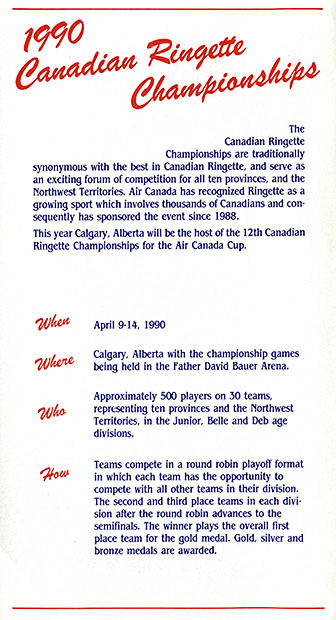 Community, Regional and Provincial level officiating ranks were replaced with Level 1-5, and A-C. 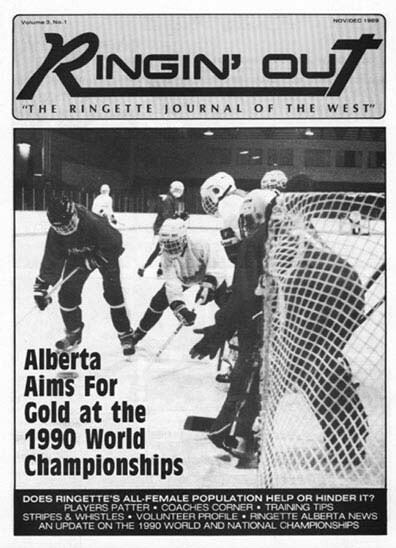 The 4th Esso Golden Ring Tournament was held from January 19-21 with a total of 87 teams (1060 players) from Novice to Deb. 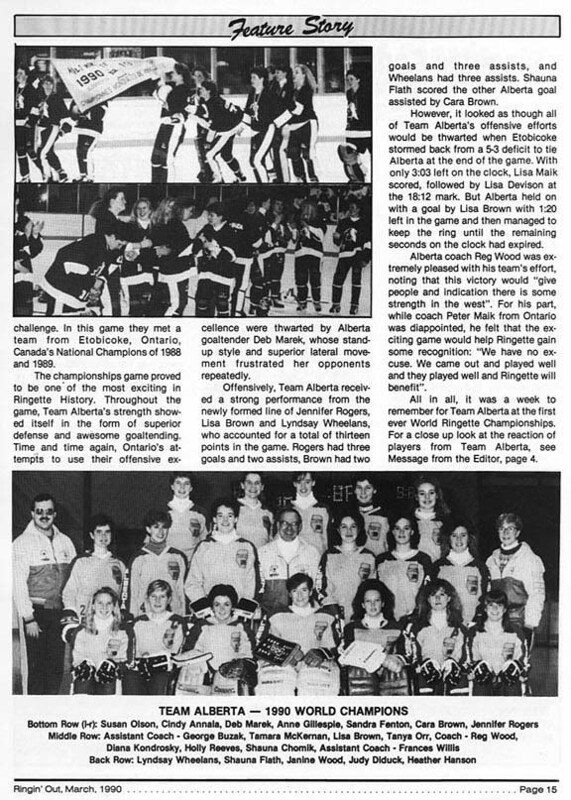 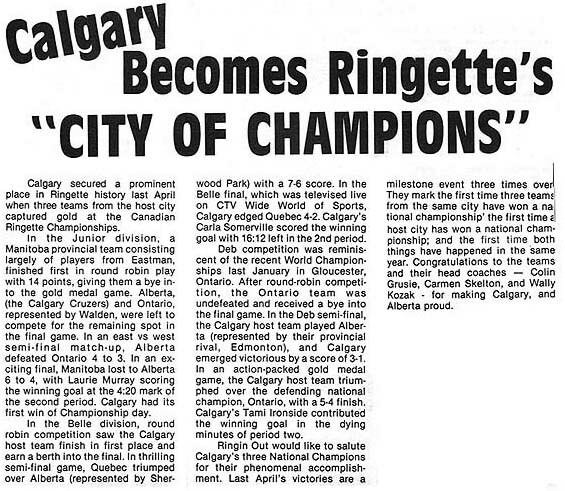 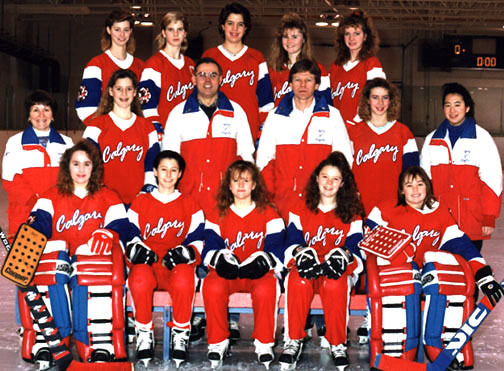 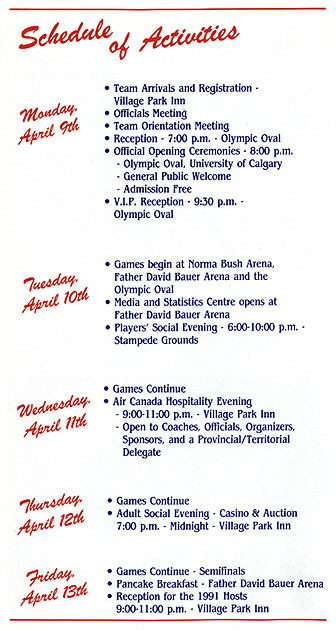 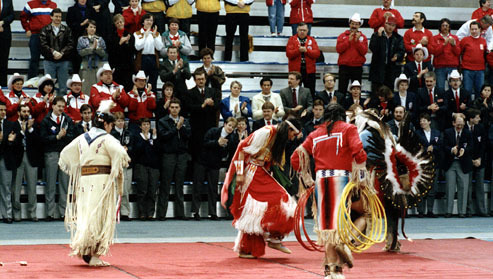 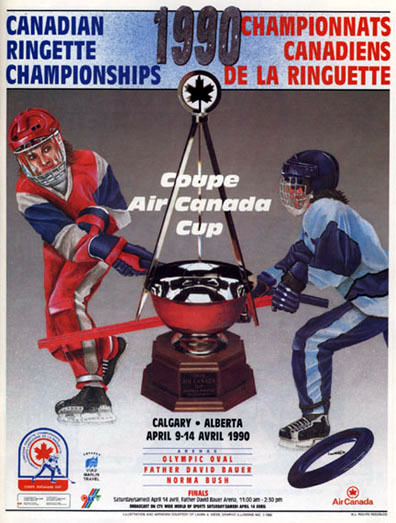 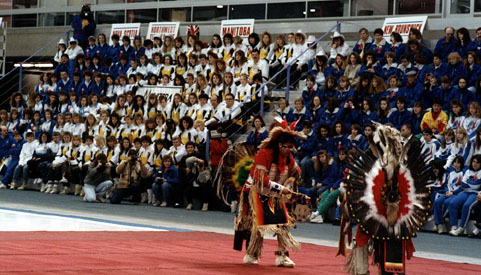 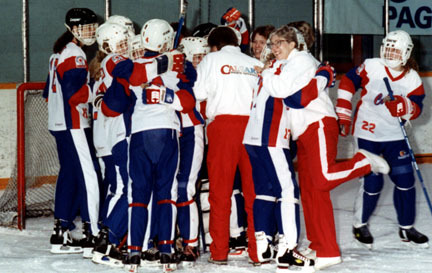 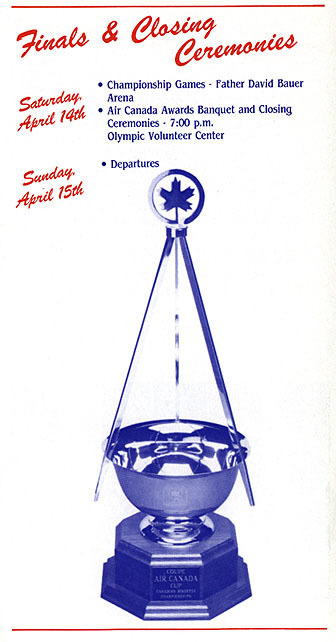 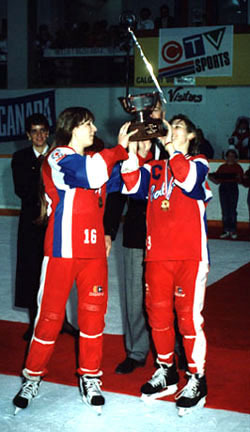 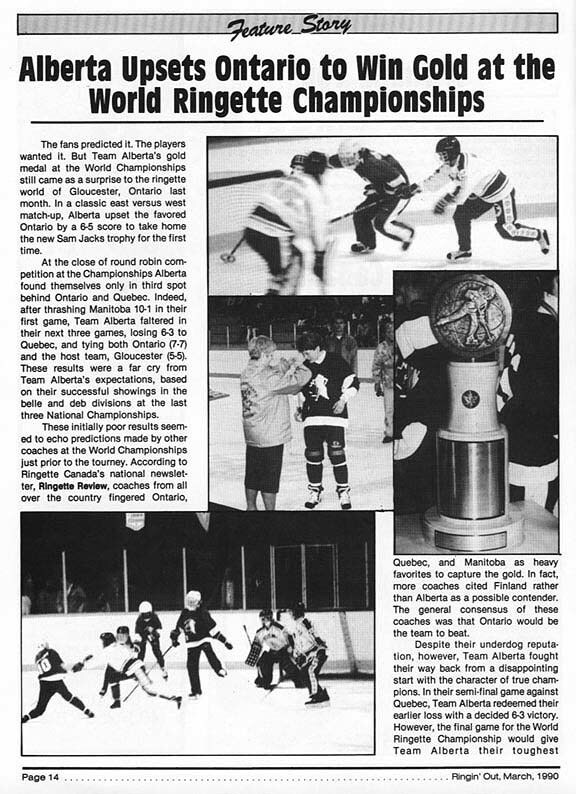 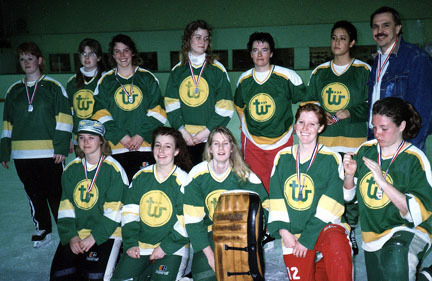 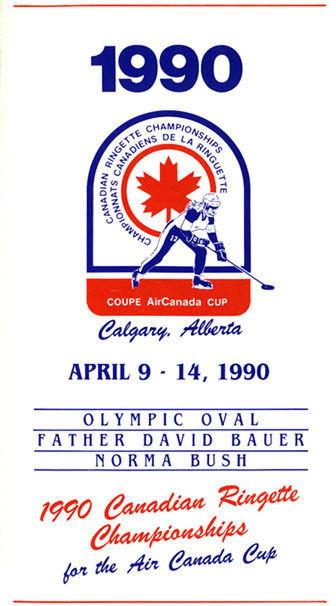 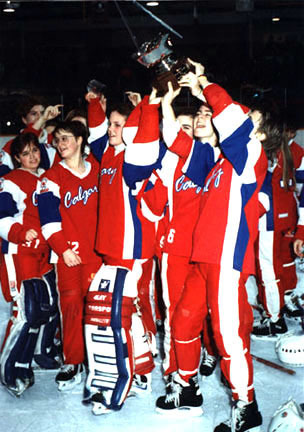 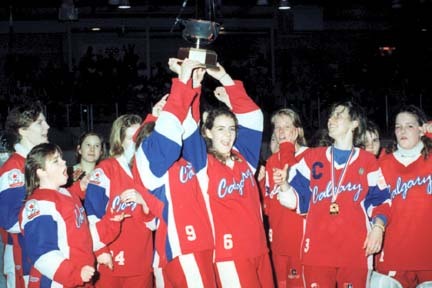 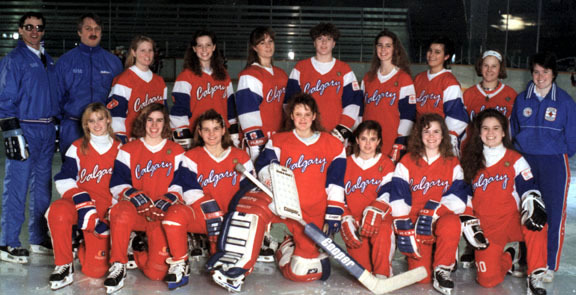 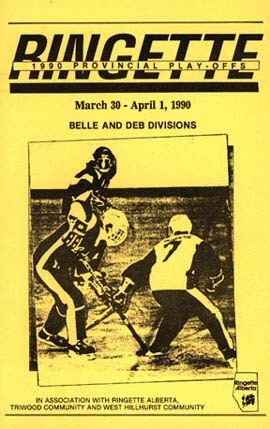 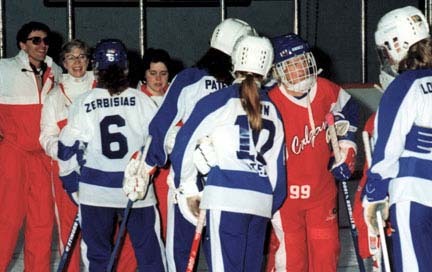 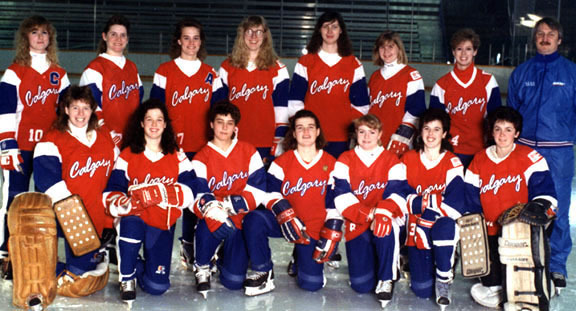 The Calgary Juniors, Belles and Debs all won Gold at the Provincial Championships, and went on to all win Gold at the Canadian Ringette Championships (and the Calgary Junior South team won silver). 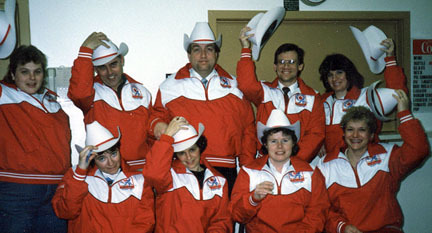 Back (l to r) Laura Webb, Gerry Preuter, Grant George, Erik Laerz, Diana Potter. 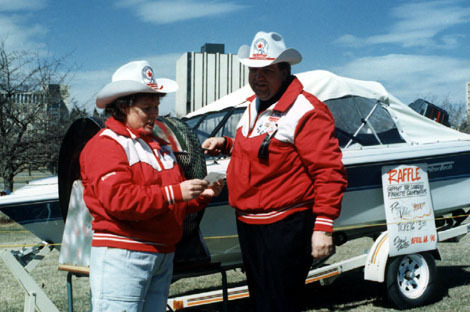 and the first time both things have happened in the same year"
Committee Chairperson Bonnie Schmidt and Grant George (Fundraising) draw the lucky ticket for the winner of the Raffle. 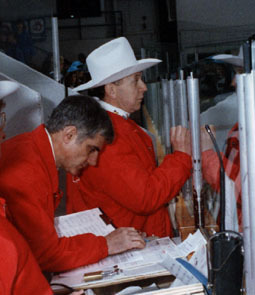 John Brooks and referee Brian Donohue help out at the championships as minor officials. 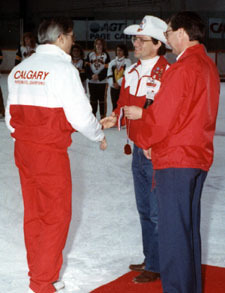 Committee Member Erik Laerz presents a gold medal to fellow committee member and Junior Coach Gerry Preuter. 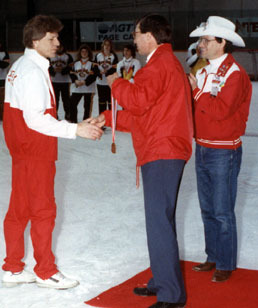 Committee Member Erik Laerz presents a gold medal to Junior Coach Colin Grusie. 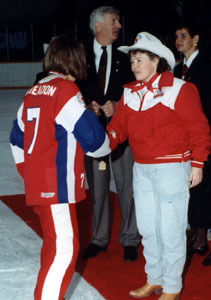 Committee Chairperson Bonnie Schmidt presents a gold medal to Belle player Ruth Weadon. 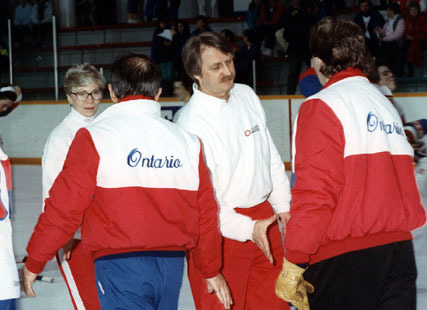 Deb Coaches Frances Willis and Wally Kozak shake the hands of the Ontario coaches after the gold medal game.